You don’t have to be a political pundit, mystical soothsayer or famous hip hop artist to see the rumbling thunderheads on the horizon. One way or another, there’s a Category 5 storm coming. We speak of the impending showdown between the U.S. president (Donald T. Trump) and the U.S. special counsel (Robert S. Mueller III). One will prevail; one will fail. Either the president finds a way to derail what he sees as a partisan witch hunt or the special counsel finds valid grounds for derailing his presidency. Either outcome forecasts a constitutional crisis for the country, a period of profound uncertainty for all of us. It’s hammer time. Not since Watergate has the nation faced such a challenge. How well we manage through the turmoil will have more to do with our capacity to find shared values than finding opportunities to settle scores or score points in ideological debates. Impose a social media curfew. Or at least confirm your sources are valid, not merely confirming your own biases. Rinse and repeat. Likewise, avoid talk radio and any news show where guests yell over each other or there are four or more talking heads on the screen at one time. Try a newspaper or public radio rather than relying on Facebook for news. Limit your intake to half an hour or an hour a day. You can stay informed without feeling like you are the target of a defibrillator. To turn off the news completely and decide you can’t believe anyone is itself a win for anti-democracy forces. Post with caution. There are nefarious actors in our midst, ready to sow further confusion when opportunities arise, and, boy, will the end of Mueller’s investigation be such a moment. Think before you share. Russian bots are pushing both pro-Trump and pro-impeachment memes, with the only gives being the intensity of their content and occasional poor grammar. If it sounds too good to be true, or too bad to be true, consider that it probably is. Be human. It’s easy online to “see” others as fools and liars, and to treat them with contempt. In person, we see each other (usually) as fellow travelers and find ways to engage without expletives or insults. So speak your mind — that’s part of democracy — but speak with heart, too. That’s part of decency. If you wouldn’t say it in person, don’t say it online. Buckle in. The outcome is not guaranteed. History’s great empires that thought themselves immortal are just that, history. We would be arrogant fools to assume this cannot end badly or in a way that makes us look more like the “managed democracy” Putin has imposed, where elections too close to predict are replaced by ones in which anything less than 75 percent of the vote is surprising. Respond to the crisis in a way that will make your great-grandchildren proud. Final Forecast. Whatever the outcome, it won’t be quick or easy. We lost more Americans to the Civil War than World War II. While the first official shots were fired in 1861, as late as 1868 Congress and President Johnson still fought related battles. The Senate vote to convict him on three articles of impeachment each fell short by one vote. Oh, how Moscow and Tehran would be thrilled for a similar Senate vote on Trump, passing or failing by a single vote. Coming days will make the tension and intrigue of an episode of “Homeland” seem reassuring and unimaginative by comparison. Historians sit, fingers paused above their keyboards. We each have a role to play in deciding whether the next chapter is about the sunset of our democracy, a second civil war or how our present cancer came at last to be in remission. We can survive this latest trauma with democracy intact, but not if informed citizens decide this is a spectator sport or reach for their muskets rather than reaching out their hands. David Gallagher is a transplanted Texan, living and working in London, England, and tweeting @TBoneGallagher. 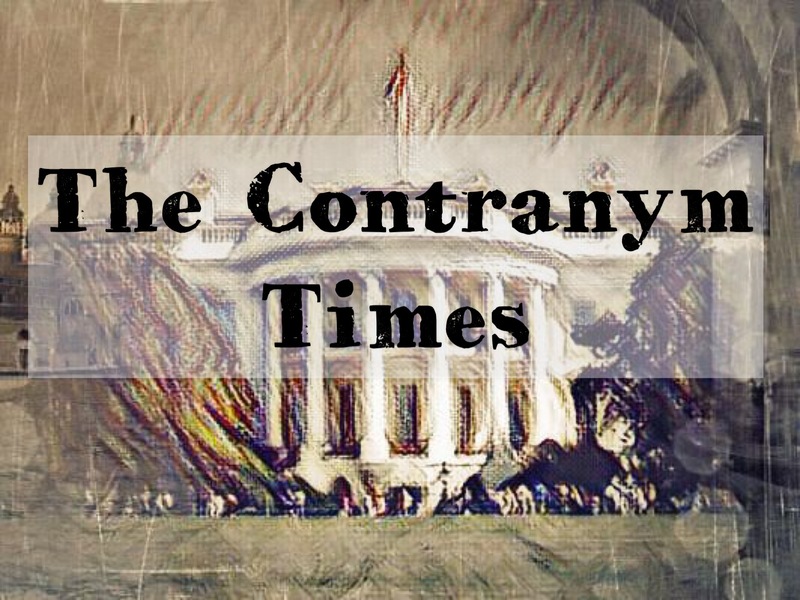 David Schleicher is an attorney who splits his time between Waco, D.C. and Houston, tweeting @ContranymTimes. This column originally appeared in the March 22, 2018 Waco Tribune-Herald.